Visits to Fiji over 30 years has convinced one environmental researcher that the problems in the Pacific are no longer separate from the rest of the world. “Pacific problems are global problems,” Professor Peter Blaze Corcoran said while attending the International Civil Society Week in Suva. “We feel the impact here of so many issues – say the impact of rising seas – it’s felt here more than anywhere else in the world. 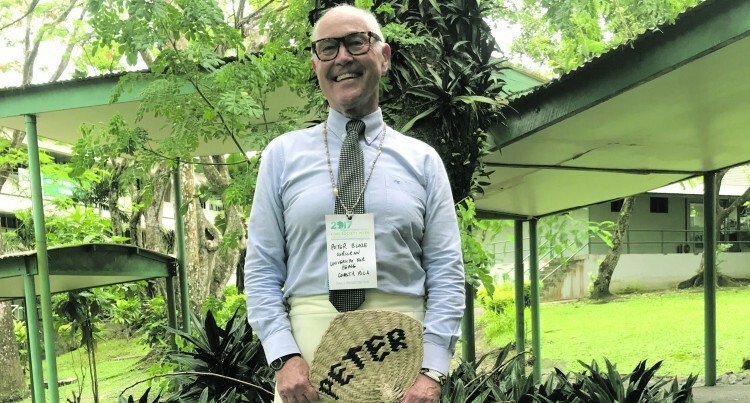 Professor Corcoran, who is a researcher at the University for Peace in Costa Rica and a former University of the South Pacific lecturer, calls Tagaqe Village in Nadroga his ‘Fijian home’. He believes there is an urgent need to give Pacific voices an opportunity to take the microphone. Mr Corcoran said while ‘his village’ faces issues that are evident throughout grassroot communities in Fiji, he has witnessed local leaders taking the lead. “We do have a very aware and knowledgeable chief who has been creating awareness on the causes of climate change – he keeps the village clean and the youth involved,” he said.